ADOPTION POLICY: Paws with Pride reserves the right to deny any application for any reason. We are an Ohio based organization and will not adopt any unaltered animal Out of the State of Ohio. VETERINARY CHECK: Paws with Pride does call your current veterinarian to verify your pet care history. Please notify your veterinary office that we will be calling and give your permission to provide us with this information. HEALTH GUARANTEE: We cannot guarantee the future health of any animal. We do not know the past medical history of dogs rescued from the dog pounds. We take pride in trying to make sure that each and every animal is in the best health and condition before any adoption. All medical procedures performed while in our care are disclosed before any adoption takes place. If there is a possibility that a member of your family, especially children, may have allergies to pets, please have them tested before considering adoption. If allergies occur after an adoption and the pet must be returned, your adoption fee is non-refundable. There is no such thing as a “Hypoallergenic” dog. There are, however, dogs that may be less likely to react to people with allergies. We would suggest that you do research before adopting a pet! Our base adoption fee is $250.00 for adult dogs and $300.00 for puppies. Some purebred adoption fees may be slightly higher. Some of our adult dog adoption fees may be lower and can range from $100.00 to $200.00 depending on the dog and age. RENTERS: It is the policy of Paws with Pride’s that we do not adopt dogs/puppies to renters. This policy in no way reflects on any person or family’s ability to be a great pet owner! This policy was instituted due to the fact that many animals come to us from pet owners who move to new rental properties that will not allow pets, therefore, the animal is either surrendered to rescue, taken to the dog pound or abandoned. We do verify home ownership. We have been asked why our adoption fee is so high! Please take into consideration the time, care and vetting that goes into each rescue animal that we have for adoption. Many of our animals are rescued from the dog pounds and we do not get them for free, we are required to pay a fee to the pound to rescue them. There are times when animals come to us with health issues that must be addressed immediately such as; dentals which can cost up to $175.00, skin issues that need to be treated before a dog can be cleared for adoption and numerous other issues that need medical care. There are many times when we have invested well over the adoption fee in an animal before it is adopted. We provide excellent healthcare for our animals, none of which is free to us i.e., spay/neuter, vaccines, deworming medication, rabies vaccines (in adult dogs), bordetella, flea treatment monthly and food while in rescue. Spay/Neuter, up-to-date vaccines, deworming, flea treatment, heartworm testing and preventative, veterinary exam and in most cases a rabies vaccine. 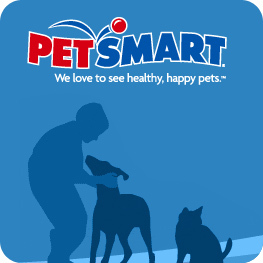 Spay/neuter, up-to-date vaccines, deworming, flea treatment, bordetella and veterinary exam. Some puppies may be too young to spay/neuter before adoption but the spay/neuter is included in the adoption fee. Also, in some cases your puppy may require a third DAPP2 and rabies vaccine, these vaccines will be at your expense. Spay/Neuter is mandatory and it will be up to you, the new adoptive family, to transport your puppy to one of our approved vets for the surgery. PwP will schedule the appointment for you and we are more than willing to work with your schedule. WE ARE AN OHIO BASED RESCUE AND WE DO NOT ADOPT ANY UNALTERED DOG OR PUPPY OUT OF THE STATE OF OHIO! Hopefully this information has addressed some of your concerns. Please scroll back up to the top and click on “Our Animals” to see our beautifuls pets. Thank you!